Thank you Sam’s for making the best Hung Tao Yee Fu Wonton (fried wonton soup)! I’ve been having this soup at all over the city since I was a little girl and I could not remember who made it best. Some places add peas and corn, others add cilantro. Sometimes the wonton is too soggy and other times the broth is too watery. 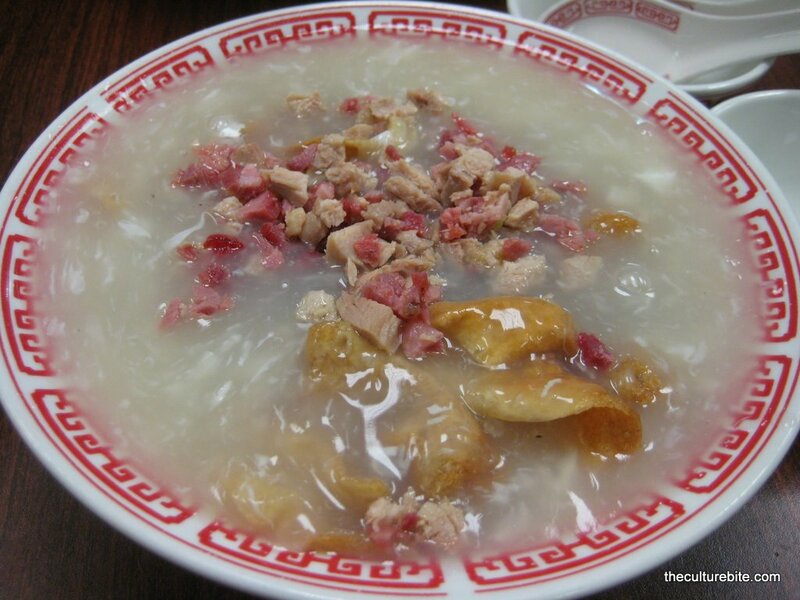 I’d much prefer a hung tao yee fu wonton with crispy wontons and a thick broth similar to egg flower soup. Yum, doesn’t that sound delicious? Sam’s Chinese Kitchen is the hidden gem tucked away in Pacifica off of Skyline and Hickey. Locals frequent here primarily as a to-go place as there are only 5 tables. K and I were the only ones sitting in the restaurant, but the phones were ringing off the hook. Service was quick and attentive. Total bill came to $13 for 2 people. Hung Tao Yee Fu Wonton – What more do I need to say? The soup was like an egg flower soup base. Thick, eggy, flavorful. The wontons were fresh out of the fryer so they were still crispy. Spoon me a bowl of that with a few hits of white pepper and I’m set. Tomato Beef Pan Fried Noodles – This too was delish. It was probably the most noodles I’ve ever gotten in this dish at any other Restaurant. K and I were stuffed and I still had leftovers which I ate 5 days later. And get this, the noodles were still crunchy! I guess that makes me wonder what’s in the noodles that keep it crunchy, but whatever, it tasted good. This is a hole-in-the-wall Chinese restaurant and I’m going to give this 4 clubs. If it were any other Chinese restaurant, I wouldn’t dare go past 3. THAT’s how good Sam’s Chinese Kirchen is. One of my favorite places, go there all the time. Next time try tomato beef CURRY hong kong style noodles. I always get their hung toa yee foo wonton also. If you get noodles to go, they put meat/gravy in box first, then they put crispy noodles on top so this way they stay crispy a lot longer. Their chow fun is also excellent. Thanks for the comment Auntie Phyllis! The reason Kingston and I went to this place is because my dad heard about it from you. They really do have the best hung tao yee foo wonton. We might go there again tonight with my parents and also try the tomato beef curry noodles. Yum, sounds good.